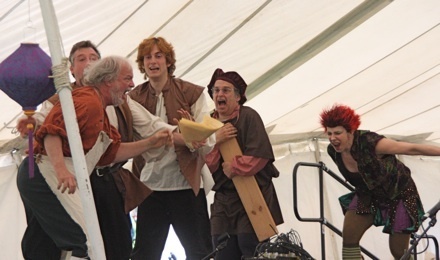 Ithaca Shakespeare Company - June 2011 News: Summer Shows And Vacation Packages! Are you coming from out of town to see the shows? Or do you have friends or family who will be coming from out of town and staying in a hotel while they're here? Then take advantage of our brand-new vacation package offers! We have put together an AMAZING set of deals for people coming from outside the area. Packages start at just $259. Summer 2011 Is Almost Here! 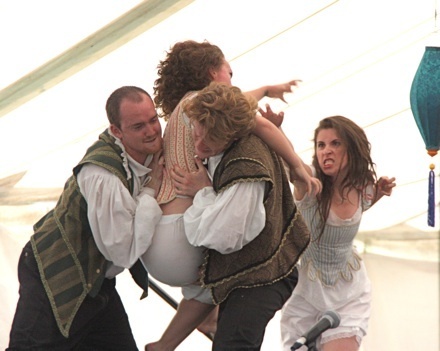 Opening day for the ISC's 2011 summer season at Cornell Plantations, featuring TWO of Shakespeare's greatest comedies in rotating rep, is approaching soon! 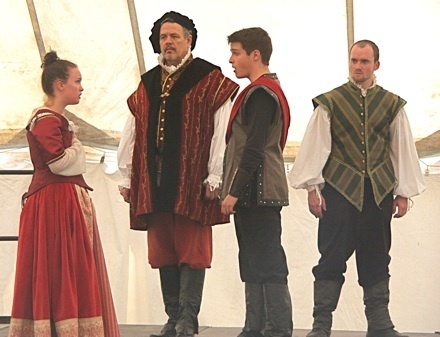 Don't miss your chance to see the same cast perform two different Shakespeare shows back to back on any two nights! 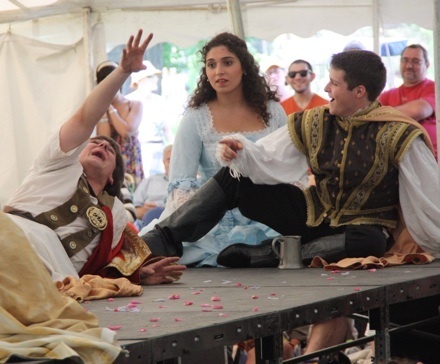 This year's production of A Midsummer Night's Dream had its premiere at the Ithaca Festival on June 5 and was enthusiastically received by the large audience. "The best production of this play I've ever seen!" 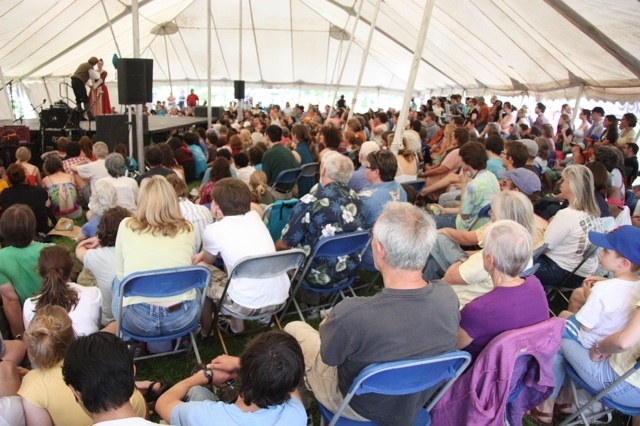 The production was presented under a large tent by the lake in Stewart Park, and the standing-room-only crowd stopped the show repeatedly to applaud the performance. We couldn't have asked for a better start to our first rep season! "You bring such a fresh energy to these plays!" See more photos from the Ithaca Festival performance and parade.